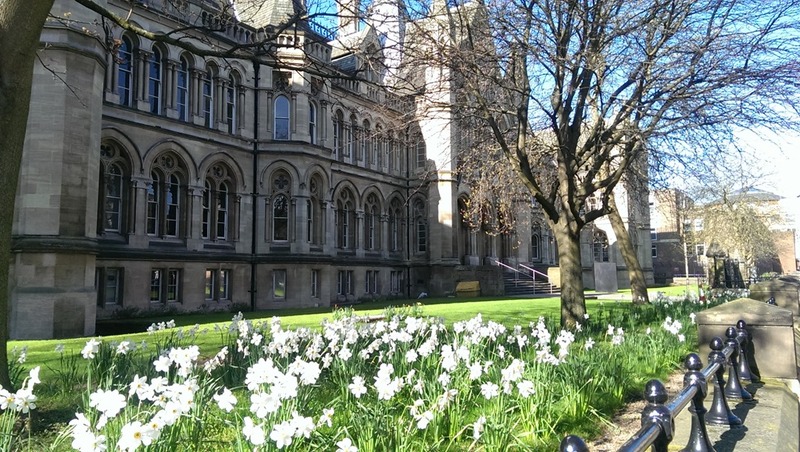 A part of my regular morning walk through the city of Nottingham becomes quite suddenly a striking view on a sunny April morning as the bright and and showy narcissi appear, heralding another Springtime. Nottingham Trent University’s Arkwright Building is placed in stately fashion along the city’s Shakespeare Street and is a building of much familiarity to me over a period of many years. It was in this building in a former apparition as a technical college that I studied to be a compositor in the 1970s. Often distracted by looking out on those same pretty lawns, the green swards through the window seeming an attractive proposition as opposed to following instructions from an old blackboard. Many years later, I studied again within the same institution when it was by now a university, also spending a period of time working within the university supporting disabled students. 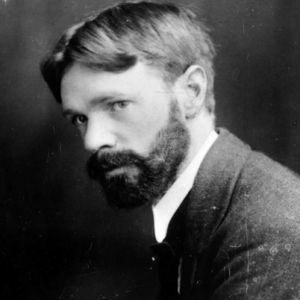 Perhaps one of the college’s most famous alumni is the writer, D H Lawrence who graduated in 1908. A few years later in 1916 he wrote ‘View From A College Window’ of his own times studying in the Arkwright Building, his words very evocative of my own later experiences and feelings there a few generations on. Goes trembling past me up the College wall. The daisy-froth quiescent, softly in thrall. Beyond a world I never want to join. The building’s somewhat intricate Gothic design has an individual slant as it brings together three great aspects of Victorian education: the university college itself, a public library and a museum of natural history, complete with stuffed animals. D H Lawrence called it the ‘finest pile of public buildings in Nottinghamshire’, although qualifying this by opining Nottingham of the day as a ‘dismal town’. Lawrence, a brilliant writer could be described as a difficult man who upset many people of his own locality, particularly in his home town of Eastwood, Nottinghamshire. 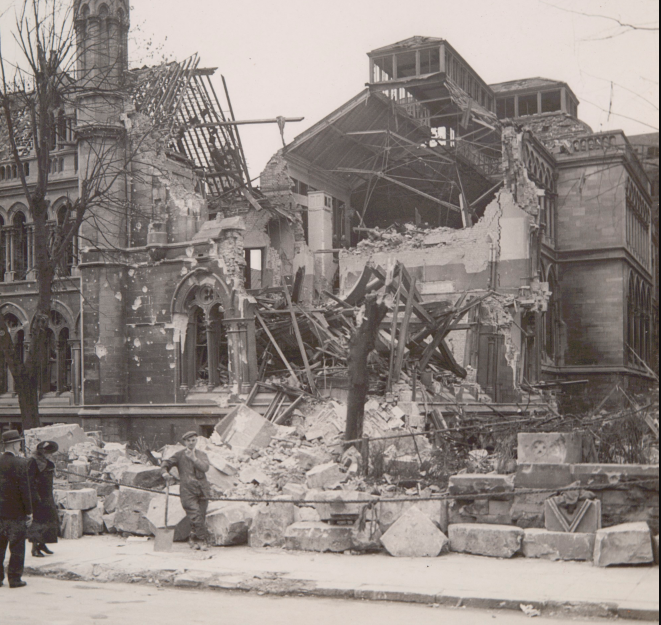 The Western end of the the Arkwright building sustained a serious direct hit from the German Luftwaffe in 1941. Not to be deterred however, the shattered end of the building was rebuilt in its former glory.